Dr. Brian Keehn is a radiologist who graduated the medical school of A.T. Still University Kirksville College of Osteopathic Medicine and did his internship at Maricopa Medical Center. He earned his residency program at St. James Hospital and completed his fellowship at Phoenix Children's Hospital. Dr. Keehn has been in practice for more than 6 years and is now specialized in Radiology. 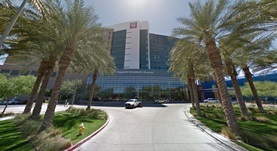 Moreover, Dr. Keehn works at Phoenix Children's Hospital.